Get the best of both worlds! 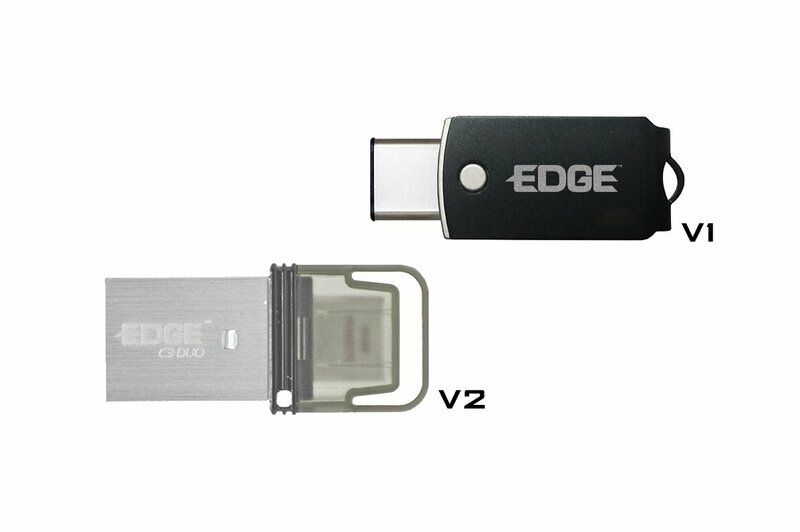 With a standard USB Type A and a newer Type C connector built-in, users will always be able to transfer and access files no matter what system they are using. Conveniently transfer files to and from compatible smartphones via OTG technology. Future proof mobile storage is here with the C3 Duo Flash Drive. Equipped with both a modern USB Type-C and a standard Type-A connector, the C3 Duo is a convenient way to connect to both new and old devices. Simply swivel the C3 Duo’s connectors to select the desired type and plug into computers, smartphones, TVs, and more. USB Type-C is reversible, meaning the connection is always “right-side up” for easy insertion. With USB On-The-Go (OTG) compatibility and a fast USB 3.1 Gen 1 interface, the C3 Duo is a mobile device’s best friend. Connect the C3 Duo directly to compatible smartphones and tablets to conveniently transfer photos, music, videos, documents, and more – no internet connection or cables required. The C3 Duo is a truly affordable way to increase valuable mobile device storage. USB On-The-Go (OTG) Compatible – connect the C3 Duo directly to compatible smartphones and tablets to conveniently transfer photos, music, videos, documents, and more – no internet connection or cables required. An affordable way to increase valuable mobile device storage. Small Form Factor – the C3 Duo’s tiny footprint makes it the perfect travel companion. Fast – uses a USB 3.1 Gen 1 interface for ultra-fast transfer rates.